Netanyahu and Obama are at it again. The hardline Israeli Prime Minister, standing next to Senator Joe Lieberman, accused Obama of having given Iran a “freebie” during the Istanbul talks this past weekend. Iran can continue to enrich uranium “without any limitation” for another five weeks, Netanyahu charged. The bar had been set very low for the talks. But progress was made, not because neither side compromised, but precisely because both did. The Iranians dropped their precondition for addressing the nuclear issue, and the US agreed to resolve the issue within the framework of the NPT, sending yet another implicit signal that Washington will accept enrichment on Iranian soil under strict inspections. Of course, Netanyahu is wrong in arguing that Iran gained time. The laws of the universe remain the same; time will pass regardless of whether the parties negotiate or not. Talks would enable the Iranian to play for time would only if time miraculously stood still whenever diplomacy doesn’t take place. But however correct, Obama’s answer was still inadequate. Rather than arguing obsessively about the moment-for-moment accounting of who is on top or who has conceded the most, he should shift the focus back to the larger picture. Here’s what really matters: We have been on the brink of a disastrous war, but have managed to initiate a process that can achieve our key objectives. We can prevent a nuclear-armed Iran, we can prevent a calamitous war. Ordinary Americans won’t have to pay $8/gallon gas, nor will the global economic recovery be jeopardized. Instead, Netanyahu should answer the question: Why does he fear the success of diplomacy more than its failure? Behind the rhetoric and hysterical talking points, there are legitimate Israeli concerns about the impact of diplomacy on its security. The Netanyahu government (and its predecessors since the Rabin-Peres government) have feared that successful negotiations would lead inevitably to a compromise that would permit Iran to continue with limited enrichment activities on its soil. But rather than viewing this as a beneficial compromise that at the end of the day prevents Iran from building a nuclear bomb, Israel fears that this will permit Iran to become a virtual nuclear power, which in turn would shift the balance of power in the region to Israel’s detriment. Virtual nuclear parity in the region would damage Israel’s ability to deter militant Palestinian and Lebanese organizations and cause it to lose strategic maneuverability. It would damage Israel’s image as the sole nuclear-armed state in the region and undercut the myth of its invincibility. Gone would be the days when Israel’s military supremacy would enable it to dictate the parameters of peace and pursue unilateral peace plans. “We cannot afford a nuclear bomb in the hands of our enemies, period. They don’t have to use it; the fact that they have it is enough,” veteran Israeli politician Ephraim Sneh explained to me in an interview for my book. This geopolitical shift could force a reluctant Netanyahu government to accept territorial compromises with its neighbors. Arguably, Israel would not be able to afford a nuclear rivalry with Iran and continued territorial disputes with the Arabs at the same time. Second, by striking a deal with Iran, the US would reduce tensions with the autocratic rulers of Tehran. There would, however, not be a proportional reduction in Israeli-Iranian tensions. This would trigger the Israeli fear of abandonment— the idea that it would continue to face a hostile Iran in the region while the US would patch up its differences with Tehran and turn its focus elsewhere. The ripple effect this would have on other, non-related challenges Israel face—such as its demographic battle— could be decisive. There are several flaws in the reasoning behind these fears. First, it presumes that Israel must retain the regional balance of power in its favor as a measure for survival. This puts an unbearable burden on Israeli society—its ability to balance and outgun a country fifteen times its size in the long run remains slim. Second, it discounts the ability of diplomacy to reduce Israeli-Iranian tensions. Rather than positioning itself in favor of diplomacy in order to ensure that Israeli concerns are on the agenda for the talks, Israel has explicitly opposed diplomacy and created numerous obstacles for its success. This has put Israel on a collision course with the US—who desires and needs a deal with Iran—its most important ally. Israel needs a paradigm shift on its security outlook. The region is changing in fundamental ways, yet Israel refuses to adjust. It insists on remaining the same. It is not a strategy that serves it well. Trita Parsi is the President of the National Iranian American Council and the 2010 Recipient of the Grawemeyer Award for Ideas Improving World Order. 2010 Grawemeyer Award for Ideas Improving World Order Recipient. 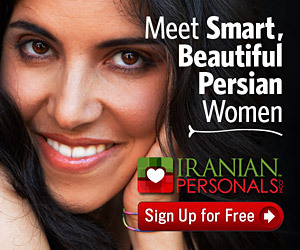 Leads largest Iranian-American grassroots org, National Iranian American Council. Author of A Single Roll of the Dice.